"A series of concentric mirrors, 2,650 in this case, direct the sunlight at centrally located salt tanks. The heat melts the salt, which boils water around it, and the steam generated turns the turbines. The salt tanks’ ability to retain heat is what affords the plant up to 15 hours of sunless energy generation." Further, this plant sits on an area land that is several times bigger than CUC current plant which is about 35 acres – refer to the plant's website [see http://www.torresolenergy.com/TORRESOL/home/en%5D and you will see that the Gemasolar plants is an operation that occupies nearly 435 acres of land. Note that lhis large, and still experimental plant, is only a fifth of the generating peak capacity of CUC current plant. Based on the above, you do the math and tell me whether everyone would be prepared to pay for that neat form of "electrical power". There is no panacea when it comes to producing and distributing electricity. There are high costs involved for all of the proposed technologies, both capital and operating. A viable way forward in Cayman is to slowly evolve from central production by CUC towards distributed production by a large number of micro producers using renewable sources (primarily wind and solar) that will come on-line slowly over the next decade or two. In this scenario, CUC would cut back on its production role and ramp up its distribution role by allowing the micro-producers to hook up to the grid. This will require a cost structure that is win-win for both CUC and the micro-producers; a difficult but possible contract to negotiate (lessons learned can be found in Ontario, Canada). The main problem to be solved is the reliance on fossil fuel whose price will become increasingly volatile and unpredictable over time. Renewable energy sources may be capital intensive but over time the operating costs are relatively low and predictable. Minimizing energy consumption must also be part of the solution. Home designs that use natural wind for cooling, better insulation, solar hot water, energy efficient appliances, fridges that vent waste heat outside, fridges that use excess heat to heat water, flixible work hours for office workers to minimize peak business load etc etc. All this takes is a generation of leaders who have vision, technical competence, people skills and a strong ethic of service above self. I am hopeful. I sincerely hope the people of Cayman will never ever agree to something as destructive as nuclear energy or an oil refinery. I was very annoyed to even hear this mentioned on the news the other night and to see it here in print again. I’m always amazed how people can even mention the words. Have we not learned anything from Three Mile Island, USA in 1979, Chernobyl, Ukrain SSR in 1986, and most recently Fukushima, Japan earlier this year? Have you not heard of the damages caused by oil like in the cases of the Exxon Valdez in 1989 or what happened last year in the Gulf? On an island surrounded by wind and sunshine why are we not focusing purely on something far less destructive and in such abundance? Will those in authority please pull their heads out of the sand and stop planning the destruction of our island and our heath with such stupid, hair-brained ideas like nuclear energy, and more fossil fuels etc. It’s not like we need any more cases of cancer or birth defects on this island, as we seem to have more than our share already! Run that undersea cable from Jamaica. Our most viable source of alternative energy is thermal wind. Just look at how much of it is released on the blogs everyday. Some of it is so potent that it could be used to power jet turbines. Yes we do need to look at Gas turbines for our energy generation because there is such an abundance of methane gas coming out on the blogs everyday. All we need to do is have a regular diet of beans handy for the bloggers and politicians and our energy requirements could be easily taken care of. CAYMANIANS!!! CAYMANIANS!!!! Be careful of what you ask and wish for………don't listen to these people about windmills, this is just another money making scheme. Another way for them to have control over Cayman and you the people. So Mr. Bush, just say the word and tell CUC to charge the people of Cayman only their usage and remove all that is a profit to theirbank account and a liability to the peoples bank accounts. That will solve all our problems……imagine my usage is less than $150, but after all the extra add ons it is over $400, absolutely outrageous!!!!!! To all of you leaders, shepherds you all need to read the whole chapter of Ezekiel 34 and understand what God is saying and start taking care of the people and places he has given you the opportuntiy to be leaders to and over. Ezekiel 34:10 This is what the Sovereign Lord says "I am against the shepherds and will hold them accountable for my flock. I will remove them from tending the flock so that the shepherds can no longer feed themselves. I will rescue my flock from their mouths, and it will no longer be food for them. So my fellow Caymanians, don't be take for a fool and fall for another of their money making, being in control schemes again. Stand up and demand the Govt. to make CUC charge us only for our usage. It has to be cost effective if the customers that they have e.g. Walmart and eBay and Google are investing in it. Probably because of the generous tax breaks they get. My bet is that Walmart etc. are not actually buying into this technology, the US taxpayer is. Mind you this could upset CUC's monopoly because they look like a turn-key operation that would be used to power blocks of condos or hotels and I'm not sure that the current restrictions on private generation of power would apply to them because technically they could be described as just giant batteries. My 2 cents is that a large countrywide plan to generate renewable energy will be a large costly undertaking and one that no-one will champion to an end result. There will be the usual committee's, road blocks, inaction and political interference. If you want to get something up and running sharpish mandate all new builds incorporate some form of energy saving/generation in their plans. Solar Hot water should be compulsary, then dictate better insulation and finally electrical generation (solar or wind or both). You can scale the requirements based on the size of the house and anticipated electricty drawso that you can still build smaller cheaper homes, maybe with better insulation as standard, larger homes can then require more self generation. You won't meet all the electricity generation needed but if you start small you end up chipping away at the bigger picture. You also move the costs to the new larger houses and make people consider gas stoves and dryers and consumption levels. You could even consider removing duty from all forms of energy production/savings, if Cayman were to even start appearing a bit greener, coupled with a bit of good PR the good will generated will likely see Cayman viewed in a better light around the world. The newest report, from international investment bank Credit Suisse​, says geothermal power costs 3.6 cents per kilowatt-hour, versus 5.5 cents per kilowatt-hour for coal. Why not burn garbage? Then we solve 2 problems at once. I used to live close to where they had a massive incinerator that was supposed to be the first step towards a WTE (waste to energy) project. But if they didn't keep the temperatures up the unburnt crap that came out of the nearly 300' tall chimney was spread over an area roughly ten times the size of the Cayman Islands. In the end the project was shut down until massive filters could be installed to retain the dioxins and other poisons that were being emitted. Bottom line is that WTE isn't simply about taking the garbage and burning it. Look at what happens when they set fire to Mt Trashmore? Once again Cayman is a decade behind….Until its broken we try to fix it at a dear cost to society and the wallet. Government will not support any alternative way of creating electricity as they heavily rely on the duties they receive asscoiated with the CUC bills. I don't care what they say, this is where the issue lies. Unless government is prepared to trim its own fat, reduce their spending and do away with excess baggage, we will not see solar panels or wind turbines on the Island (at least not for the average person). Agreed. And what makes it difficult for even CUC, is that the raising cost for petrol to run the powered-company, is regulated by developed countries, such as, the Organization of Petroleum Exporting Countries (OPEC), twelve countries, which consists of Iran, Quatar, Saudi Arabia, United Arab Emirates, and Venezuela. OPEC has the undisputed ability to control the price of the world's crude oil, effecting Caribbean nations. That is why there are so much talks in the U.S. about renewable energy sources. So this issue of cost is just not a CUC and government issue. Everything from the dollar to cents, stems from the world's thirst and greed for this natural resource. I am 100% for a Windmills company to reduce cost… only if government holds more than 50% of the company's shares or owns it entirely. That way, Caymanians, will be able to have some political influence in controlling cost. And most politicians have substantial shares in CUC, so alternatives will make them gain less. The prophet says I do not care whether they use a wind mill a ceiling fan or a grape leafe, but the Government needs to do something about CUC, the bills are too high. Imagine your light bill is 200.00 and on top of that you must pay another 300.00 FOR WHAT? It is rediculous. Stop foot dragging, it needs to be priority. Not sure I follow, Prophet. You said that your "light bill" is $200 but someone is expecting you to pay an additional $300? What do you mean? Do you mean your fuel factor is $300? Your fuel factor is the amount spent on fuel, lubricants to generate the electricity YOU have used. It is a part of YOUR "light bill". The bill simply shows the breakdown of your bill to increase transparency. I suspect that if we dig deeper we will find that that the oil companies are responsible for our high costs since these costs simply pass throughs and CUC's most recent return of 8% does not reflect that it is making a bundle out of this. Vertical Axis Wind Turbines (VAWT) are lower maintenance, catch the wind from all angles, lower bird strike risks, and operate at wider wind ranges than old "windmill" style turbines people generally visualize with wind farms. They can be dissassembled in case of severe weather and are cheap and quiet. I disagree. Can you imagine a windmill studded panorama on Grand Cayman. In addition, the developing running experience shows that wind turbines are unreliable, have high maintenance costs, and problematical. Given the relatively small area of land on Grand Cayman and the siting requirements of either wind turbines or solar panels, ocean technology looks like a far better bet. The final solution for global power needs will be nuclear power. No doubt about it. If the world's governments were not in the way, small self contained nuclear generating plants would be available now. Our engineers have known for at least 40 years how to build them. In fact, prototypes were built and operated years ago. They are fuel efficient, getting up to 100% more power out of uranium, produce far less waste, produce ideal steam conditions, have a very small footprint, and are intrinsically safe. One was built and operated by a US National Laboratory, and tested for intrinsic safety. Engineers shut down its regulating and emergency shut down systems and walked away. Guess what? The reactor shut itself down. The idea is to manufacture modular nuclear power units like this in the 50 to 100 megawatt range. Each would be buried at the power site slightly below the surface, and would generate power for about 10 years. At the end of this period, the module would be shipped back to the factory for re-furbishment .Engineers know how to do this, and we would have these units now, if only the world governments would get themselves out of the way. Would one of these be ideal for Cayman? You bet. Maybe in North America where there may be professionals. Cayman's recent safety record is less than inspiring, considering we can't even monitor and maintain standard diesel generators with sufficient proficiency to avoid catestrophe. Yeah, sure until we get hit by another Ivan. You must have forgotten what one good wave of salt water can do. And Cayman is so flat, to make the problem worse.Have you heard about what happened in Japan earlier this year? The people of Japan though they had a good sea wall, a plan B, strong buildings, blah, blah, blah! Now what? Now many people in Japan will be suffering the long term side effects of radiation to their health? And what of the land itself and the surrounding ocean? What most people do not realize is that due to the high humidity in our air the solar energy is diffracted and arrives at the ground reduced in effectiveness. Couple that with the high capital costs and low efficiency in conversion of less than 15% solar energy is a viable but EXPENSIVE alternative. It works better in the sunny deserts of north American than it would here. Wouldn't wind power also be expensive? At least there is evidence that the sun shines more consistently than the strength of the wind blowing. Lots of things are expensive. You get what you pay for. actually wind is a much more viable option than solar. the watts produced for your dollar is far more efficient than solar is. solar has a long way to go to be able to compete with wind. Salt, soot, pollen, droppings, and grime are only some of the enemies to PV panel efficiency. Dirty panels can sacrifice up to 80% of normal energy production. Even under the best case scenario, solar will not produce the power we need at night, and there is not currently an effective method to store daylight power generation. This technology will be radically improved 10 years from now. I agree. But even right now PV is not the only way to harness the sun's energy. Solar Thermal Energy is cheaper, more efficient and there have been some exciting developments and big successes recently. ST focuses the heat of the sun on a liquid that then evaporates to drive turbines to generate electricty. Using water for steam turbines is the most elementary application, but if you can get the temperature up high enough, using liquid fluoride salts to store the heat is even more efficient and require less water to run. Storing heat in molten salts is also way more efficient than storing electricity in batteries (which is what you would have to do to use energy generated through PV at night). The real problems with ST are similar to the problems with PV: the area of land needed for a large scale ST system and the cost (also a bit of aesthetics, as it would essentially be a huge array of mirrors), but I'd be very interested to see if anything could develop from this technology in Cayman. One real world example is Andasol in Spain, check it out here: http://www.solarmillennium.de/english/technology/references_and_projects/andasol-spain/andasol_artikel.html and here: http://www.solarmillennium.de/upload/Download/Technologie/eng/Andasol1-3engl.pdf. Andasolis Europe's first commercial parabolic trough solar thermal power plant and each plant can supply solar electricity for up to 200,000 people in the region. There are many, many differences between Spain and the Cayman Islands (most importantly, perhaps, Spain has a generous incentive programme, the location is at high altitude and semi-arid so direct insolation of solar power may be higher, and construction and maintenance costs will obviously vary), but the specs are as follows: in its entirety (so not just the collectors) Andasol 1 covers about 500 acres (the equivalent of 1% of the land mass on Grand Cayman) and has a capacity of 50MW of electricity. The heat collector itself (the mirrors) has a surface area of about a quarter of the total area, or 250 acres. Heat from the sun is concentrated by this array of mirrors and absorbed into a molten salt mixture of sodium nitrate and potassium nitrate, then a turbine produces electricity using this heat. Because of the heat efficiency (close to 98% if you can get it hot enough) and storage potential the turbine can run for about 7.5 hours at full load with no energy input. The two reservoirs are each 46 feet high (so about 4 stories) and 118 feet in diameter (each building's footprint is about a quarter of an acre). The parabolic trough design means the array itself is not very tall, so aesthetically the reservoirs are the highest points at less than 5 stories and the whole thing is spread out more across the land than up into the air. Andasol 1 cost about CI$320 million to build (I know, that's a LOT) and the electricity costs about CI$0.31 per kWh to produce. Comparing Andasol 1 to CUC's diesel engines in just a few factos: a) in terms of efficiency and energy lost as heat, thermal energy storage accounts for only 5% of the total cost; diesel engines, on the other hand, which have the highest thermal efficiency of any combustion engine, lose more than 50% of their potential energy to heat, b) Andasol uses more water for cooling than a conventional power plant, but in Cayman seawater cooling could be used to lower that cost, c) carbon footprint and emissions would obviously be non-existent after construction, d) CUC has a total capacity of about 150MW and has put out a tender for an additional 13MW, Andasol 1 could provide 1/3 of the power currently required in Cayman, e) Andasol 1 developers estimated that it would cost CI$0.31/kWh to generate electricity (again, I would caution that operating costs in Cayman would be different, but the plant is also more efficient than expected so the actual cost would be lower and I can't find updated numbers), the current CUC rate is about CI$0.35/kWh. There are other designs for ST that have various advantages and disadvantages over the parabolic trough design (parabolic dishes, towers, linear reflectors). I hope the NEP is considering this type of solar technology as well. Maybe it will turn out that it's not viable, I certainly don't know enough to say for sure. But I'm glad they've started talking about options like nuclear and hope ST is also considered, even if it's eventually turned down or shelved until technology improves. Photovoltaic panels located in extremely hot locations may require HVAC or natural convection cooling systems to prevent damage. More radiation generally means more output but also a higher surface temperature on the PV cells themselves. Heating a panel beyond its maximum operating temperature can cause permanent damage and/or warping to the PV cell. Also, only a few milligrams of dust per square cm can reduce panel output by 90% or more. Solar does not work when it's overcast, raining, or at night. These are only some of the hurdles with this technology, great as it is. You might want to run that past the Israelis. They have been using (in fact mandating) some form of solar energy capture for something like 30 years and you can trust me that Israel has a far harsher climate than the Caribbean. If they can do it why can't Cayman? Would you like to see my CUC power bills? They are so low it is laughable, and that is not with full solar. Doppler radar VS Wind power. 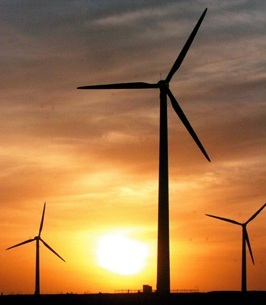 Wind power has to be a part of the energy solution here in the Cayman Islands. We can not allow the building of a doppler radar station to stop this contry from securing a huge leg of our future energy needs. This doppler radar station if allowed to go ahead will cost us millions of dollars to operate and will cost us many millions of dollars in future diesel fuel purchases. We should stop the doppler radar station now. I agree, also interested that other people aren't up in arms against the doppler radar. Right now, we have more than adequate warning systems in the event of impending storm dangers, coupled with our own hazard management committees and so on. What we don't have is a way of mitigating a way of dependance on fossil oils which we suffer for in terms of high bills e.t.c. I for one am a bit disappointed that this site wasn't given the go ahead as a small windfarm to at least start as a means to help cut oil dependence. That would take a level of intelligence not seen in Grand Cayman yet. Until then its the usual try and fail, try and fail, try and fail and blame someone else. A solar farm is the best option as we have 85% sunny days and would be better than wind energy. Wind energy can be installed offshore yet with risk of hurricanes could be an issue. A algae farm could also be an option. Cayman needs to look at alternative energy and an oil refinery is the last option also before Government grants CUC a new contract on their monopoly they should require that CUC establish alternative energy by 2015. We all know that CUC is a diesel runned company so we as residents have to make an effort in getting our politicians to see the dangers of greenhouse gases and emmisions and look to invest in green energy solutions. If a business for e.g. Walkers invest in Solar energy then give them a 10% rebate on cost this will encourage other businesses to folow suit and also educate residents. Government could possibly lead the way by get rid of the diesel guzzling omini buses and get 25 hybrid buses that carry 30-40 passengers instead of having 100 of these small buses that carry 12-15 passengers. The Nimitz an American Super Aircraft Carrier has been at sea for 30 years and has not had a problem with it's nuclear re-actor. That is a high stress enviroment to operae a reactor in. The French have built new modern pocket reactors that default mode, if loses power and cooling or if all the operators go to east end for a party will shut itself off safely. If the cost of such a reactor comes down in the future this could be a viable solution. Primary coolant water leaks from one of the two nuclear reactors aboard USS NIMITZ. I'm interested that someone has finally raised the issue of powering CUC's generators with LPG. Most modern generators (certainly any that CUC have bought in the past 7-8 years) are multi-fuel so with a relatively simple conversion they can use a variety of alternatives to diesel including LPG. I remember Richard Hew revealing this after new generators were installed in 2007 or 2008. Despite what you read above the 'infrastructure' to produce electricity from LPG already exists, what is missing is the will to utilise it. Hew said the problem was the storage for LPG which does not already exist. And these people are our leaders? God help us! I said 10 years ago that I couldn't believe Grand Cayman and Cayman Brac didn't utilize wind generators–seems like a no brainer since we have it here with way less wind. "The Earl of Wessex participated in a ground-breaking ceremony for the Cayman Brac Wind Power Project. The Project follows Cayman Brac Power & Light Company's (CBP&L) installation of an anemometer which launches a six-month feasibility test of electricity generation using the prevailing sea breezes crossing The Bluff. The CBP&L project aims to construct a windmill farm capable of generating electricity for the island and reducing power costs to as little as 16 cents per kilowatt hour, compared to current costs of approximately 24 cents per kilowatt hour for the first 100 kilowatts. Construction of between 10 and 15 windmills would see them each producing 200,000 kilowatt hours annually, sufficient to power approximately 130 houses. The first turbine or windmill will be located near the new power plant that will shortly be constructed on the Bluff at Stake Bay Point, the site of the ground-breaking ceremony. At the highest point, its tip will be 199 feet high but because it will be set back 1,000 to 1,500 feet from the edge of the Bluff, it should not be visible from the base of the cliff. The first turbine, as well as future windmills, will also have a five-acre buffer zone for safety and noise-intrusion reasons. Government funds have already paid for a road that runs from Songbird Drive to the edge of the Bluff and the power company has built an access road continuing on to the new plant site." CNS: This article refers to plans that never came to anything. Oh so the trend continues, coz look who was leading us in 2004, and still 2nd time around, we coming up with nothing! As I’m sure your readers will remember what caused the project to derail was hurricane Paloma. Initial reports did show, at best, marginal winds. You will also recall that we were conducting a feasibility study not building windmills as the article states. We are again in the early stages of looking at cheaper, reliable, clean energy for the sister islands and have not ruled out wind. I will be happy to provide an update once our research is firmed up. So what happened between 2004 and 2008; what has been done since Paloma's derailing of the project in 2008; and when do you expect your research to be "firmed up"? The commenter stated the incorrect year and hurricane. It was 2007 (when the study started) and the hurricane was Paloma not Ivan as Ivan didn’t really effect the Brac. We are exploring other forms of alternative/cheaper energy but can’t say too much until we have all the details worked out. I would expect more information in the coming months. You go guys. Go ahead and make the Brac a proper working example of what it takes to start waning the dependence on foreign oil. It will be amazing that a more developed island like Grand Cayman is lagging behind on every front and will have to take you guys as an example of how to lead. Boucher thinks that wind is more viable? Where do we get these people from? Has Boucher looked at the average windspeed neededfor wind turbines to operate near their stated rating? For the uninformed, it is approximately 27 MPH. A 1000 watt (rated) turbine would produce less than 100 watts in wind less than 10 MPH. A huge 2 megawatt wind turbine would give you the same relative output, despite costing millions of dollars. We get 300+ days of sunshine every year, but the wind is very fickle. Also, if it has moving parts then regular maintenance is a must. Why wasn't solar energy tabled as an option? People may ask what about night time….Well Cayman isn't exactly a windy island. How much wind is there to generate enough energy at constant levels? ok ok besides when a storm is lurking around. Otherwise Cayman does not have that much wind. How Cayman has more sunny days than it does cloudy days. Wind turbines cause vibrations in the earth and cause detrimental effects on the animals that live in the natural habitat. The constant vibration will drive all these creatures away. The side effects of the turbines have not been considered. What about hydro? There is a sea which is constantly moving. There must be a way to generate energy off of the wave movements in the ocean. A nuclear plant in a country that gets hit by hurricanes, earthquakes and the occasional sunami – if this was any place except Cayman I would be surprised. I still don't get how wind here in Cayman can be a more viable option than the sun/solar energy. From what I have read from other countries who have tried wind turbines, they generally don't contribute that much towards the energy grid, particularly on sweltering hot days. I have also read of health concerns due to the noise generated by the turbines and sincerely hope if this is the direction we take, that no turbines will be placed anywhere near people's homes. I remain to be convinced. Conclusion: Today nearly all islands in the world are totally dependent on expensive and environmentally problematic fossil fuels for their energy needs. But islands have a unique potential for renewable energy – a competitive economic situation for renewable energy technologies, good renewable energy resources, positive attitude towards renewable energy, highly visible laboratories for technology, organisational methods and financing and serve as demonstration projects and nations." What about solar power as an alternative? The winds here, called the "Trade Winds", are so called for a good reason. They are reliable. Wind is one of the ways forward. you would think so as they are the trade winds. Howeverthe turbines they will be using are huge and during the summer months it is not unheard of for the Cayman Islands to go a few weeks at a time with wind speeds of 10 to 15 mph. This is much too low for the wind turbines. It is interesting that CUC waits until now to talk about wind energy when it is in direct conflict with the radar project. Why does Cable and Wireless and the years of ripping tjhe Cayman People off come to mind??? In terms of solar energy is as alternative. Solar energy requires a lot of space for the panels to generate enough energy for the country. It would be interesting to hear from those that have panels on their homes to see how much energy they put out above and beyond the home needs. The alternative with this form would be to make the panels cheaper by reducing fees to bring them in. Either way the solar panels are not cheap. Kiss all the birds goodbye. What's wrong with solar? This bird/bat strike thing is a myth. Where I live in the UK we have numerous huge wind turbines and large flocks of migrating birds but absolutely no evidence that the birds are getting hit by the turbine blades. See link for those unfamiliar with this Renewable Energy. Cayman is a smallisland and i can only imagine the size plant required to produce enough or perhaps excess energy may be do-able with respect to funding. Wouldnt it be something if we pioneered this technology into the future! I called into Rooster in the afternoon about wind power and the host said he was against it becaue he flew an airplane. I suggested to him that he fly higher to avoid a collision with the wind turbines. There is almost a constant NE wind. I would have thought he would know that already. the future of energy is not just one solution ….. it will be a combination of solar,wind, biofuels, fossil fuels…etc….. In typical UDP fashion Mr. Glidden left the meeting in order to go to another meeting, avoiding the Q and A session show a serious lapse in judgement. I mean he worked on this presentation for a year, the least he could have done was stick around and here the feedback. Men with chalk for backbone should have NO place in elected office. Yep, without a doubt, there's enough wind and windbags, and hot air, to last us generations.